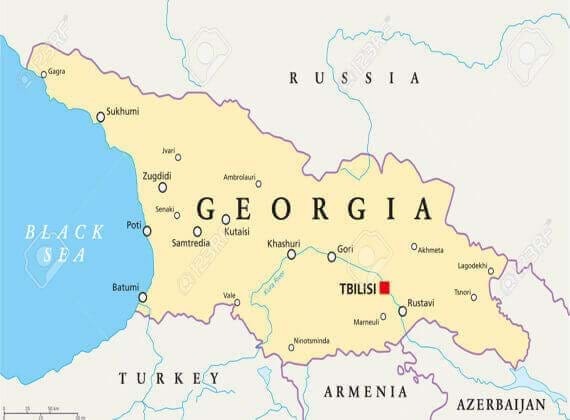 Georgia, a Country located in the Caucasus region of Eurasia is one of the loved countries of the entire region. The country is bounded by Turkey and Armenia to the south, Black Sea towards its west, Azerbaijan by the southeast and from Russia to the north. Covering an area of around 69700 square kilometers, the country has the population of around 3720400 as per 2016 estimates and has the density of around 53.5. 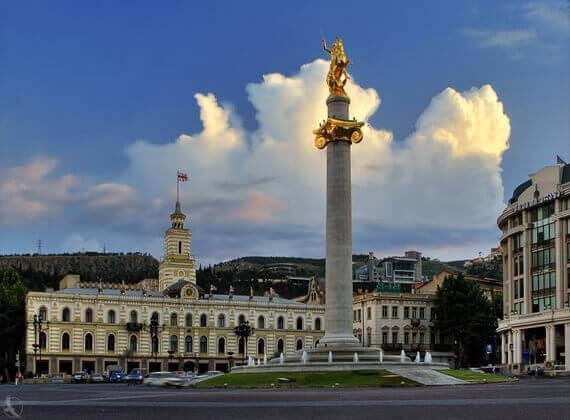 The country has the capital city ‘Tbilisi’, which is also the largest city of the country and is located on the banks of River Mtkvari. 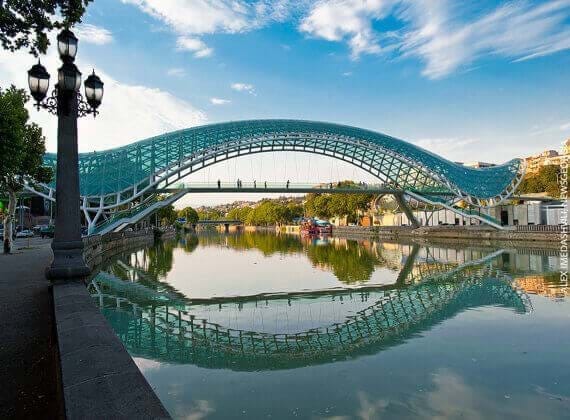 The country is the member of the Council of Europe and has a rich culture and traditions. The official language of the country is Georgian and is considered one of the oldest languages of the world. Representing an amazing blend of culture of Iberian and Colchian Civilizations, the culture of the country is hugely enriched. The country got its renaissance in the 11th century and witnessed the huge developments in the field of literature, philosophy, science, architecture and arts. 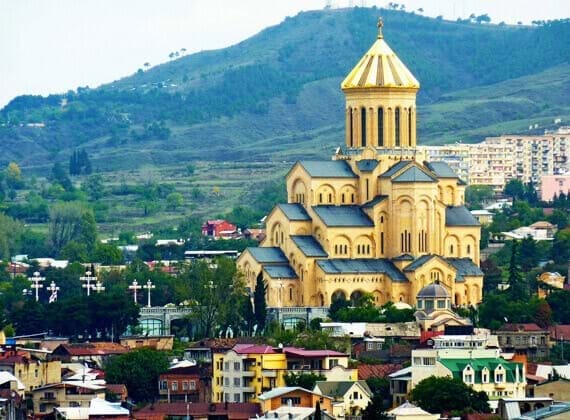 The Georgian culture has also got its roots from several other cultures of the world, including Roman, Greece, Byzantine and Russian Empires. The country is widely popular for its folklore, dances, music, cinema and arts. Some highly dignified painters and notable theater artists and film directors have represented the rich culture of the nation. The country presents an excellent opportunity to the aspiring students towards pursuing MBBS in Georgia. Considered among the favorite choice for many aspiring students for MBBS in Europe, the country offers more than enough reason to make it as a favorite destination. The country having 100% literacy rates is one of the achievements of the country, which signifies the rich educational background of the nation. 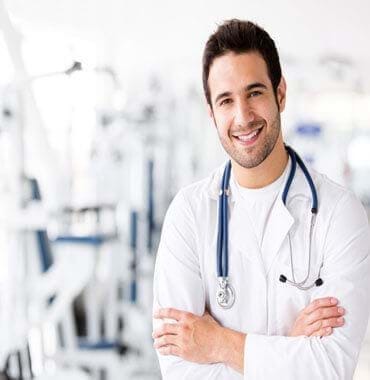 The students who want to study MBBS in Georgia are offered several benefits and thus making Georgia, one of the favorite and top choices for MBBS course and establishing a well defined career ahead. The Medical course is considered as one of the toughest in the world and many students get deprived of the admission criteria and high admissions and course fees. But with the Georgian Universities, who are offering the easy and affordable solutions for MBBS Course, the dreams of many get the feathers. With the unlimited advantages as offered by the Georgian Universities in the form of no entrance test required, and low entrance fees and better life standard, the options in front of students are crystal clear. All you need is to make up your mind to get into the University of your Choice in Georgia and be a part of the rich educational culture of the nation. Another benefit associated with the Georgian Universities is as soon as you complete the degree, all you need is to apply for the screening test and upon qualification; you are licensed to practice MBBS in Georgia. The MCI registration as given is a significance to be a registered medical practitioner. Why to study in Georgia. Georgia is one of the best places when it comes to living standards and peace of life. The country offers you enough options to live a happy and relaxed life within a budget (especially for those candidates who can’t afford to spend much). While, the country is a democratic republic, the crime rates are very low in the country, thus providing a safe environment to the students. Even, a research shows that Georgia ranks among top 10 safest and low crime countries in the world. At the same time, the country offers several employment opportunities to the students, while they pursue their studies in the university. The affordable living, which is almost 2.5 times cheaper than the USA and around 3 folds cheaper than the UK, Georgia is a perfect place for students opting for MBBS in Europe. The climate of Georgia is much to the relief of the students belonging from India. During winters, the temperature ranges from 6 degree Celsius to 15 degree Celsius. There are two main climatic zones in the country corresponding to the eastern and western parts of the country. 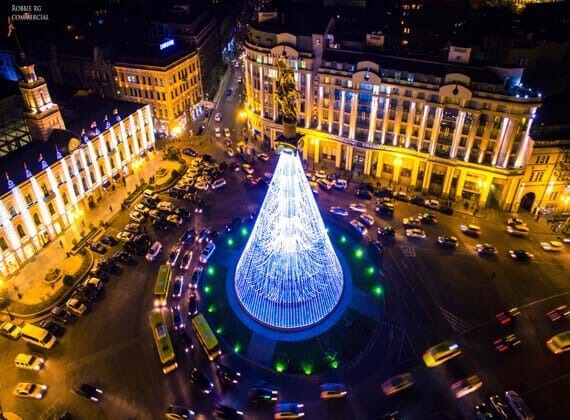 In a nutshell, the Georgia presents a very lovable natural; climate to live and study as compared to several other places of the world. The country of Georgia presents an affordable accommodation to the students. Most of the universities provide accommodations of their own and that too, at a very nominal cost. The students are provided an option to either select the accommodation inside the college campus or elsewhere having a room on rent or staying at any PG of their choice. However, one must always remember that the private accommodations are always costly than the ones which University provides. Also take a note that most of the accommodations are embedded with the blanket and heaters & AC facility in winters and summers. Considering the demand of the students, the Georgian Universities have the mess of their own which provided the Indian Cuisines of the best order. The students are also offered a common kitchen, thus enabling them to cook at their will and as per their choice. The country of Georgia has witnessed a sharp rise in the number of Indian Restaurants ever since the number of Indian Students increased. The students belonging from India find it easy to adjust in the country owing to the availability of the Indian Cuisine everywhere. The Indian Students can enjoy their cuisine at will in Georgia. Over the years, the Country has witnessed a sharp improvement in the transportation system. The availability of 4 airports in the country offers an easy option for the arriving students to come to the country with ease. Also to bring in notice, the students are welcomed by the representatives of the Universities in Georgia, when they arrive for the first time. The connectivity of the Country with other European nations like Poland, Bulgaria, Slovakia and Germany is very smooth and are well connected with the railways. 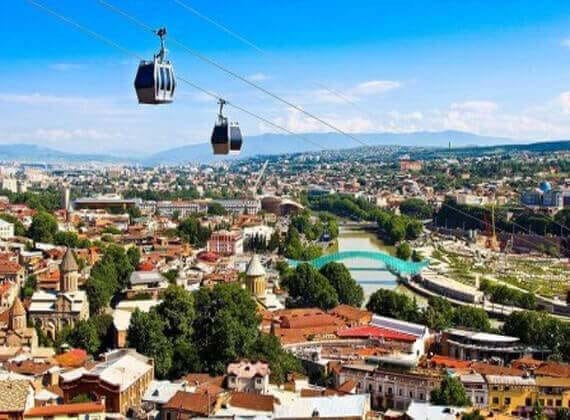 The bus route options to and from the countries like Great Britain, Poland, Belgium, the Netherlands, France, and Germany allows the students to move in the most convenient manner, while for those who want to visit Turkey, the Waterways is the best option. 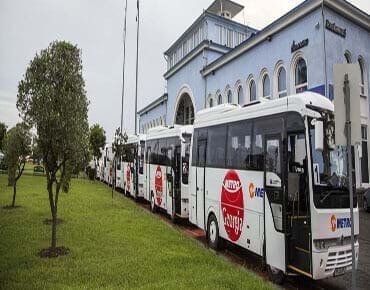 The transportation system of the country is very best and is well connected by air, buses, railways, metro, trams, ship or trolley buses within and to all other nations. Benefits of Studying MBBS in Georgia. Georgian Universities has the lowest tuition fees. Very Friendly environment for all students. Affordable place to live with the monthly expenses approx $200 required. Georgia features among top 10 lowest crime rates countries in the world. Degree acknowledged in all European Countries. Free Visa for Schengen Countries. WHO & MCI approved Medical Universities. Easy availability of Indian cuisine. No upper age limit for applicants. Two Sessions; one beginning from February, while other from September. Easy option of shifting base to Germany is permitted for pursuing PG course. Best salary packages to students after learning German language. Options to the students to pay tuition fees in two installments. No tuition fees in the last year of Course. German Language Classes from 4th Year. Last year, when I was looking for my graduation degree for course from georgia, I got in touch with consultancy. I would not hesitate to call it the best educational consultancies for georgia Universities. I was very much desperate to study medicine in georgia, but I couldn't gather enough information about the available programs and its requirements. It was at that time when I came to know about this consultancy and since then I have faced no problem during my enrolment for course in georgia. I will surely recommend this consulting agency to all students who desire to do from georgia. Getting an admission in the top medical university of georgia was the biggest desire of my life and this consultancy helped me to make my dream come true. I am so happy and satisfied with the services of this consultancy. It helped me acquire the deepest knowledge about every small little thing related to in georgia. Therefore, if you are interested in completing your international medical education in georgia, then I would really like to recommend this consultancy to you. It will provide you with all the information you require for your medicine education in georgia. Though, now I am an intern, but yes during the time of my admissions, I was very much confused about how to grab the right information about the colleges and medical programs of in georgia. At that point of time, I came into contact with this consultancy company. It informed me well about the universities which offer the best infrastructure to the Indian students for pursuing medicine in georgia. The one-time fee of the company is worth an investment for your education. Ranging from registration, filing of application, admission confirmation, processing of visa, the consultancy helped me with everything. While I was in search of some reliable medical educational consultant in India, I came across this consultancy firm. The consultancy helped me in a great way in providing all information about the universities, their courses, fee structure and everything. The service they offered was simply great and worth praising and after checking the past records of the firm, I was quite impressed. The firm is behind the success of many doctors and public health services professionals. I would suggest you to get enrolled via the help of this consultancy firm and enjoy the benefits of their services.